Ultra durable stainless steel can survive in the harshest enviroments for the life of the project. 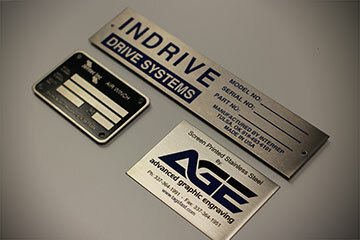 Corporate ID plates can be acid etched, laser etched, or screen printed, and are rated for use in harsh environments. Available in stock thicknesses from .018 – 0.06″, as well as custom thicknesses and sizes in either grade 304 or 316. 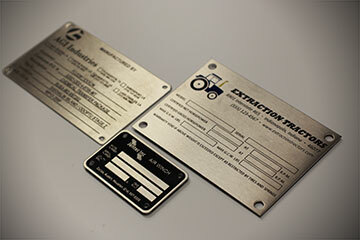 These data plates can be mounted or welded directly onto equipment. 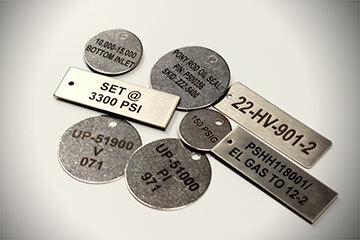 Plates can be acid etched, laser etched, or screen printed, and are rated for use in harsh environments. 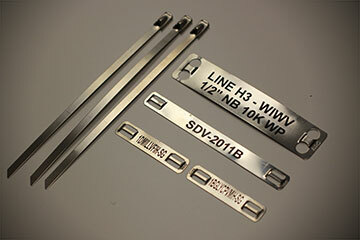 Available in stock thicknesses from .018″-.060″, as well as custom thicknesses and sizes in either grade 304 or 316. We can provide custom doors or covers to fit customer specifications. We also laser etch on customer furnished doors and coverings. 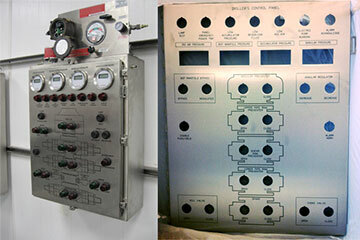 We can produce load charts to your exact specifications and requirements. Our experience and equipment gives us the capability to bring even the most complicated charts to life. 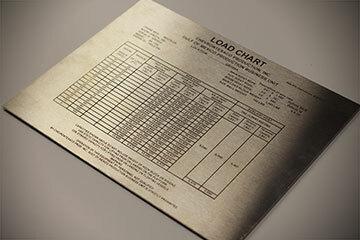 Stainless steel load charts can be laser etched or acid etched. 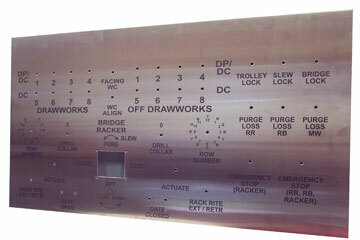 Control plates are laser etched and are rated for use in harsh environments. Available in stock thicknesses from .060″-.250″, as well as custom thicknesses and sizes in grade 316.